As we discussed in the past, the Tesla Model X is expected to be popular in China – in part due to its new air filtration system (though it’s now also available with the Model S). Now Tesla is about to start deliveries in the country and it will establish ‘operational headquarters’ in Beijing to manage its expansion in the country. The news came from China Daily confirming that the company signed a contract with the Beijing municipal government, to locate its operational headquarters in an expansion of its sales headquarters, which have been in Beijing since the automaker entered the Chinese market in 2014. The same report suggests that Tesla is about to start delivering the Model X in China “ahead of schedule”, but that would be inaccurate since we reported back in February that Tesla disclosed to its customers in China that the company was aiming for deliveries in Q2, which would have been ahead of other markets outside the US. “Participating in the fair was a new move for Tesla. We hoped the fair could offer a different approach to reach our potential customers, and a new platform to broadcast the concept of electric cars,” Ren said. Last month, Ren disclosed that Tesla received a lot of Model 3 reservations from China – making the country the second biggest market for the Model 3. The US being the first. As for the Model X, Ren said that Tesla is now taking orders in the country and people can configure the vehicle on its website. The automaker is also expected to build a factory in China before the end of the decade in order to create manufacturing capacity for local demand. 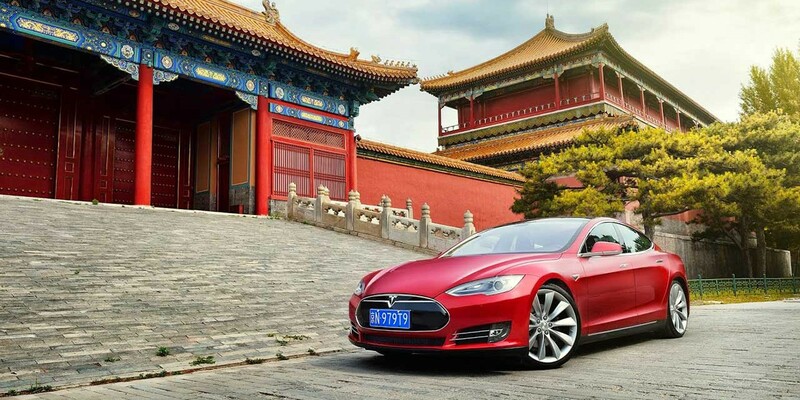 Earlier this year, Tesla CEO Elon Musk confirmed that the automaker plans on securing a location and a local partner for a manufacturing facility in China by the middle of the 2016.